Turns your portable ham radio into a survival tool! Our Antenna has been tested in the Rocky Mountains, and has transmitted and received signal up to 50 miles and beyond. [this depends on terrain and obstruction.] 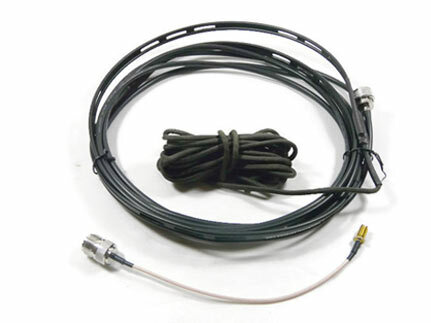 The antennas adaptor also allows you to connect to a car radio, [2 meter ham radio]. Even if you are not a licensed ham operator, hand held radios are legal to use on the MURS frequency. The Survival Antenna makes a great field training tool. 8ft. 3in. of RG-58 coax. of choice to match your radio. SO239 TO SMA male,SMA female, BNC male. 6 mil zip lock bag. Each antenna is custom tuned. All feed points are water protected with heat shrink tubing. The antenna is hung in a tree simulating live use, then trimmed for specific frequency using an analyzer. SWR,[Standing wave ratio], is set as low as possible for it’s frequency. The Survival Antenna can be cut for any custom frequency. The 550 cord has many uses but mainly for launching into a tree. The product rolls up into a zip lock bag and easily fits into a small back pack or day bag. Each antenna has an instruction sheet included. Very durable for use in rugged areas. © Copyright 2019 TheSurvivalAntenna.com, all rights reserved.